13C is the original American crew on the server, dating back to early 2014. Sporting the stars and stripes as their flag, the crew is constantly expanding as well as prospering. They are an up and coming nation based on the foundations of democracy, prosperity, and equality. Keep nature/landscape as beautiful and untouched as you possibly can, we want to have everything stay pretty. The government is divided into two separate branches, the Federal and State branch. The federal government complies its rules to all the states in the Union, while the State branch focuses mainly on each individual state. The Federal Branch is entitled to all the following responsibilities. The State Branch is entitled to all the following responsibilities. The Thirteen Colonies is rightfully declared an Democracy, where trusted, experienced, long time players are promoted and rewarded. Currently, the President is NicyB_123 and the Vice President is build1115. 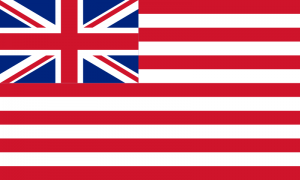 Their first fortification, Fort Independence, is based in the South West Ocean of PirateCraft, on the Southern Continent. In the beginning of 2014, NickyB_123 and Fireglazer founded the "Thirteen Colonies" and built a small fort later to be named "Ft. Independence" For years to follow, the small crew with big aspirations began to work in peace. That would all change. Now the only active members were Nicky and about two others. Isolated from allies, it was. Decided that the 13co could unite with the BE and still rule under its own name. (Whole merging process was so that everyone was in the same /crew chat) After the crew update in June of 2016, they rejoined their crew, now with the tag of "13C" Entering the summer of 2016 with big plans and a bright future, the Thirteen Colonies are again on their path to expansion and prosperity. In one of the most tragic parts of the 13C's history, Port Dalkon fell to the control of "The Asylum" crew leader Cysteen. SilverStone47, who had owned the port of Dalkon and held possession of it till current owner, "build1115" had enough claim blocks. Tired of waiting and not caring about friendship and relations, Silver gave the whole entire claim to Cysteen. build1115's vault was located on Silver's (now Cysteen's side), so Cysteen took advantage of this, tped in players. And looted the entirety of build's base. With nothing left but crap, build gave over his port (connected to Dalkon) to Cysteen. And thus, begins a new era in 13C history. With the 1.10 world expansion, it was decided that the entirety of 13C should be moved, turning original states and their borders only into outposts and defenses. The future location of the 13C has yet to be decided, but it is planned to be located in builds new port city of Vernondale. On September, Nicky was able to re-gain independence from the British Empire. Under the Declaration of Independence, The 13C shall no longer be merged with the British Empire, nor is it responsible for 13C's actions. With this, the 13C can make its own decisions and laws, without any interference of the democratic-elected Government of the British Empire . Shortly after 13C's independence from the British Empire, 13C left the League of Nations on October 2nd, 2016. With nothing left to offer, and pointless for what is was created for, [[NickyB_123, build1115, and dorkito101 voted to leave, to establish alliance connections elsewhere. Shortly after, the BE left, leaving only a few crews left in the once mighty LoN. UPDATE: The rest of the LoN crews are gone, as IE, XE, VE, left. The EE Revolution left the crew split, so it was disbanded. 13C is split into different sectors, or States, in which there is a Governor/Representative, Fort Commander/Military Commander, a capital, and 2+ citizens. Only when these circumstances are meet, is the State allowed into the Union. Until those circumstances are met, the land is known as a 'Province' of The Thirteen Colonies. 13C is its own crew, the true American crew of the server. Multiple settlements are under construction and a navy is soon to be built. Work on player housing, as well as the capitals for each state, has begun. 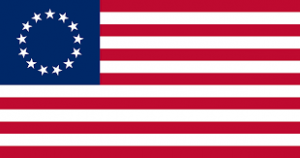 The Thirteen Colonies are apart of 'The Allied' & are a trusted, valued member of it. A special relationship between the Iborian Empire & the Thirteen Colonies exists after a rough first encounter. Tensions originally occurred between the two crews, specifically the neighboring founders (NickyB_123 and fireglazer) and Palmerageddon. After a few early hostile encounters between the two nations, a lasting alliance was eventually formed. Government Officials can command and lead citizens/soldiers depending on the event and reason. Under no such circumstance shall the Official make citizens do "personal jobs" out of force. This page was last edited on 5 March 2017, at 01:16.